In the NFL, it looks like one of the best running backs of this decade has a found a new home. 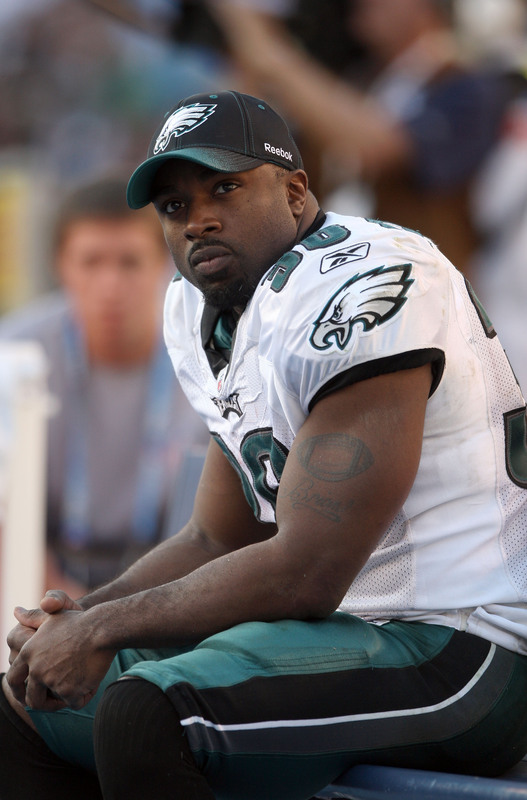 Brian Westbrook, former Philadelphia Eagele stand out running-back and all-purpose offensive player, has signed with the San Francisco 49ers. Westbrook is definitely at the tail end of his career, with probably one decent year left in the tank. He said he wanted to play for a winning team this year, and that that was more important than money. The Rams, Cowboys, and Redskins all showed interest in Westbrook, but in the end the Niners wanted him and the Niners got him. San Francisco is an enigma this year — nobody knows if they will be horrible or a formidable playoff team. Either way, adding an experienced veteran in Westbrook can’t hurt. He was fantastic for the Eagles. Elsewhere in the NFL, it was a showdown of the two Big Apple Teams — The New York Giants vs. The New York Jets in their brand new stadium — a 1.7 Billion dollar complex. Fans showed up in droves to show their loyalty. Giants fan got the win and bragging rights, but unfortunately Eli Manning was drilled hard and needed stitches. Manning’s injury calls attention to the negatives of the pre-season, as vital players can get injured and be out for an entire season. NY Giants 31, NY Jets 16. And in the NBA, it looks like Carmelo Anthony’s time in Denver may be coming to an end. Anthony was expected to be a major piece of the free agent market in next year’s off season, but apparently, Carmelo wants out now. 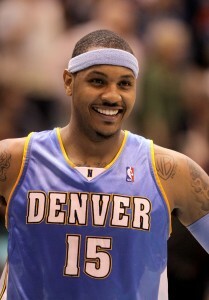 He doesn’t want to sign a 3-year extension and many signs indicate he is leaning toward playing for the New York Knicks. After all — ‘Melo is a New Yorker. If he did go to the Knicks, that would give them two marquee players in Amar’e Stoudemire and Carmelo, and there are many rumors floating around that Chris Paul may join them to form ANOTHER Big 3 team. Plus, this would stack the Eastern Conference even more. Just a few seasons ago, everybody felt the West was loaded and the East was terrible. This is quickly shifting.